A 2020 Dreams Gang Workshop which includes Prevention & Awareness is designed to help teachers and youth workers to deter vulnerable children from joining gangs by providing children and teenagers with the skills to say ‘no,’ to gangs and, where necessary, to leave a gang they may already be part of. As they progress towards and through adolescence all children are searching to find a meaningful identity for themselves apart from their family circle. Sadly, whether through peer influence, media glamorisation, mental health problems or as a result of a troubled family or school life, some of them become seduced by and attracted into the destructive gang lifestyle. Gangs may sometimes seem to be harmless ‘child’s play’ but the dangerous dynamics at play – even in the most innocent-seeming gangs – often lead vulnerable young people into carrying out behaviours they would never contemplate alone. Peer pressure can be a powerful source of influence on children wanting to fit in and mistakes can be difficult or impossible to rectify. Other gangs may be deeply connected to a dangerous underworld, quickly linking young people into a web of crime involving brutal initiations, sexual exploitation, drugs and gun and knife crime. A 2020 Dreams Gang Workshop will directly tackle the myths and media glamorisation which can downplay the tragic and irreversible consequences that often result from gang affiliation. It is important to reach young people as early as possible in the grooming process or, ideally, before they come into contact with gang recruiters. This is why gang workshops are suitable for both primary and secondary schools with the content tailored to the appropriate age level. 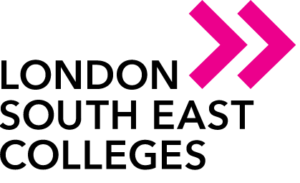 Below are some comments made by staff and students from London South East Colleges after the workshop re: feedback forms. To conclude we feel the workshop was an overall success and had an impact on the students who participated so thank you for providing such a powerful workshop. Please can you express my thanks for the Gang Prevention and Knife crime sessions put on at South Devon College, the learners all took away something from it and gave them some food for thought. Thank you so much, Steve was a great presenter and they all thought he was great. The Knife/Gang Prevention and Confidence Building workshops were fantastic! The students took so much from each one and the feedback from staff has been great too. I was in and out of both workshops, so didn’t get to see a full session myself. One thing that did stand out to me was that at the beginning of the confidence building workshop Travis had the students tell themselves positive affirmations. When he done it again at the end of the workshop, they said it with such power that clearly came from the confidence they had built within those 75 minutes. It was a wonderful thing to see. Another member of staff who was in Travis’ first session sent an email around to all staff during the session telling how amazing he was and how engaged the students were. Other members of staff also commented on how Steve was able to communicate his message so clearly with the students, in a way that both told the realities of gang and knife violence without glorifying it in any way at all. I would like to thank both Travis and Steve for a fantastic morning. The Gangs, Knife & Gun Crime workshop was amazing. It really motivated the students and was very powerful. All staff who heard it including me were really impressed. Thank you for your assistance! Dear 2020 Dreams, We wanted a general awareness for our pupils on the issues of crime, knifes and gangs and how to avoid it influences through drama based workshops. The facilitator was extremely professional, helpful and informed on the motivating influences for crime within the young people. Thank you for the Gang Prevention Workshop. The workshop was really good! The facilitator was excellent and very engaging. He managed to cover most of the subjects I required and the girls really enjoyed it. I’m pretty sure my girls learned something new and will use the information in a positive way. Thank you all for the Gun & Knife Crime, Gang Prevention and Drugs Awareness workshops that you delivered. The pupils were really engaged and enjoyed the sessions. It would be great to work with you all again, and will speak to the team about some plans going forward. A huge thank you for the Gang & Knife Crime sessions – the facilitator was wonderful! Staff & pupils thought the sessions were fantastic (and very emotional!). He was very personable & refreshingly real! If you could please thank him from us. He gave us some really lovely feedback about the staff & pupils as he was leaving. Thank you again. Looking forward to the drugs & alcohol sessions later in the term. We used 2020 to deliver a powerful and very relevant message to the whole of Year 9 about gangs and knife crime. Steven spent the whole day presenting to groups of 40 students at a time and his passionate and personable approach really grabbed the students attention and had immediate impact. Both staff and students all commented on how good the presentation was and that it was pitched at the right level. Ultimately it raised awareness and helped preach the message of safety and care for all of our students. 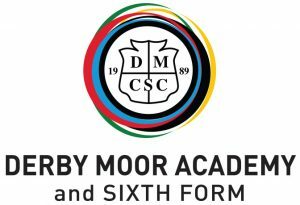 As a school we will look to embed the use of 2020 dreams into the extensive school PSHE curriculum and work around our SMSC programme. 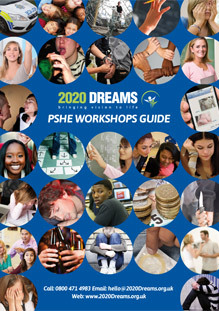 A 2020 Dreams Gang Workshop uses the twin approach of gritty role playing exercises and in-depth discussion forums to fully engage with students and get them to really think about what it means to be part of a modern gang and work out how they can prevent themselves being seduced by the gang lifestyle. Youth street gangs are a worrying phenomenon bringing fear, crime and often tragedy into the communities in which they operate. 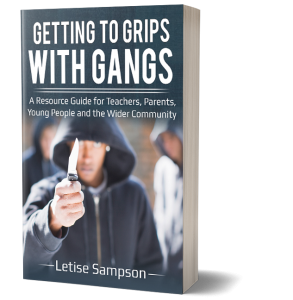 This ebook is designed to raise awareness of gang culture in the UK including the various reasons why young people are attracted to and drawn into gangs. It also suggests practical ways to help schools and communities tackle the problem and for young people to stay clear of or break away from gangs. What makes children as young as ten want to join a gang? How does gang grooming work? What are the ‘Three R’s’ of gang life? 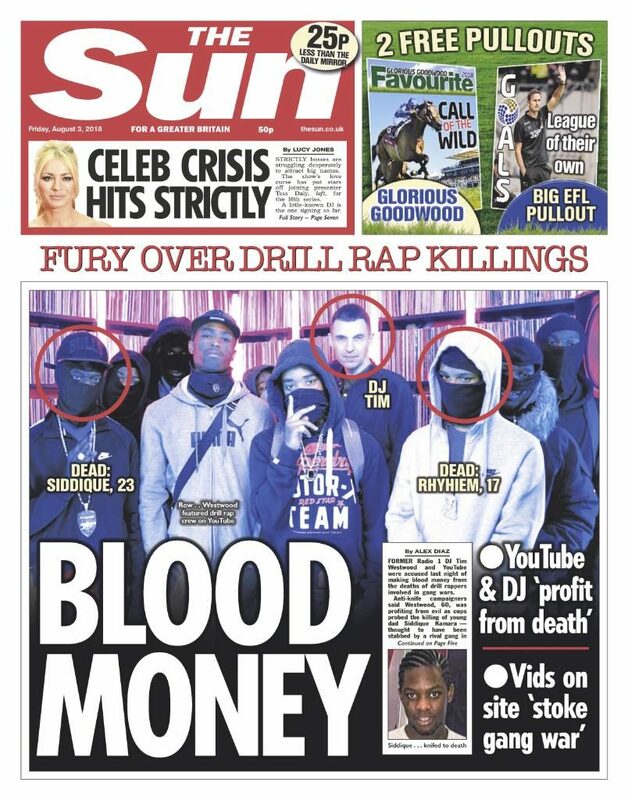 Does drill and grime music promote gang activity? How can communities work together to tackle gangs? What are Joint Enterprise convictions and do they help or make things worse? These questions and more are addressed within. Written by someone with personal experience of growing up under the shadow of gangs and youth violence and containing research, case studies, discussion points and engaging activities, this book is for everyone: schools, parents, community members and young people themselves. Unlike similar gang workshop programs, we do much more than just lecture students and show videos about the dangers of being part of a gang. We bring the gang dynamics to life through participatory role plays, enabling the young people to safely experience some of the pressures they may later come up against in the playground or on the street and to devise their own effective responses. Some of the skills that children in our workshops develop include the ability to recognise when they are being targeted by a gang recruiter, how to maintain their self-respect while resisting peer pressure and how to support other people who might be under pressure from gangs. For those who are already affiliated to a gang, this workshop will help them to identify and access sources of support for safely leaving. 2020 Dreams also use discussion forums which are led by the young people themselves, our skilled facilitators guiding the debate but not leading it. This ensures that young people can bring their own experiences to the table and work collaboratively towards finding solutions. Gang membership is a sensitive topic, particularly in some areas of the country, but our highly trained Gang Workshop facilitators will ensure that the sessions are age appropriate, pitched at the right academic level and customised to meet any specific school requirements. We can also provide a Gang Workshop suitable for a Young Offender Institution, Youth Centre or similar social care setting. 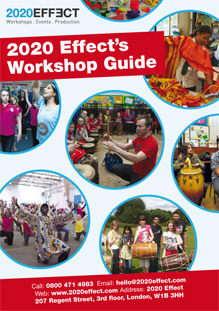 2020 Dreams workshops can be delivered anywhere in the UK, are fully risk-assessed and are run by experienced and DBS-cleared workshop leaders. Visit our gang awareness training page for programs for your staff. Speak to someone about any worry, any time.